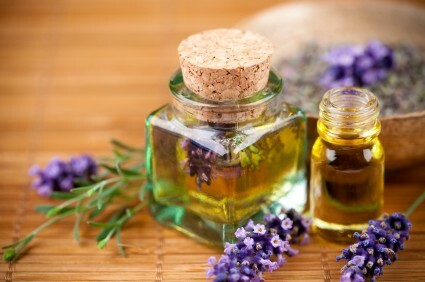 Aromatherapy has its origins in medicinal practices documented as far back as the first century. Pure essential oils are known to have been used as medicines since the 10th century and many oils have antiseptic, antiviral, antifungal, or antibacterial properties. Aromatherapy enhances well-being, relieves stress and promotes rejuvenation and regeneration of the body. Your therapist will use long, slow, gentle stokes to promote optimum relaxation. Aromatherapy Massage is included in almost all our Treatment Packages. A blend of lemongrass Cochin, eucalyptus peppermint gum, lemon myrtle and rosewood in a carrier of sweet almond, sunflower and soya bean oils with vitamin E and rosemary leaf extract. A blend of mandarin Australian, petitgrain, frankincense premium, frangipani and rose maroc absolute in a carrier of sweet almond, sunflower and soya bean oils with vitamin E and rosemary leaf extract. A blend of sweet orange, ylang ylang, sandalwood Australian, clary sage, jasmine absolute and cinnamon bark in a carrier of sweet almond, sunflower and soya bean oils with vitamin E and rosemary leaf extract. Note: Cinnamon oil should be avoided during pregnancy or if taking anticoagulant drugs such as aspirin, heparin or warfarin. Sports recovery (certified organic oils only) Juniper berry, lemon and basil ct linalool in a carrier of jojoba, sunflower and sweet almond oils. (certified organic oils only) Marjoram, lavender Bulgarian, peppermint and jasmine in a carrier of jojoba, sunflower and sweet almond oils. Note: Peppermint oil should be avoided by people with heart conditions. This luxurious lavender oil blend from Thann includes geranium and eucalyptus oils, with rice bran oil as the carrier oil. It is high in γ-oryzanol (gamma oryzanol), a mixture of natural compounds found in rice bran oil. γ-oryzanol is beneficial in the treatment of menopausal symptoms, elevated cholesterol, and various gastrointestinal conditions.